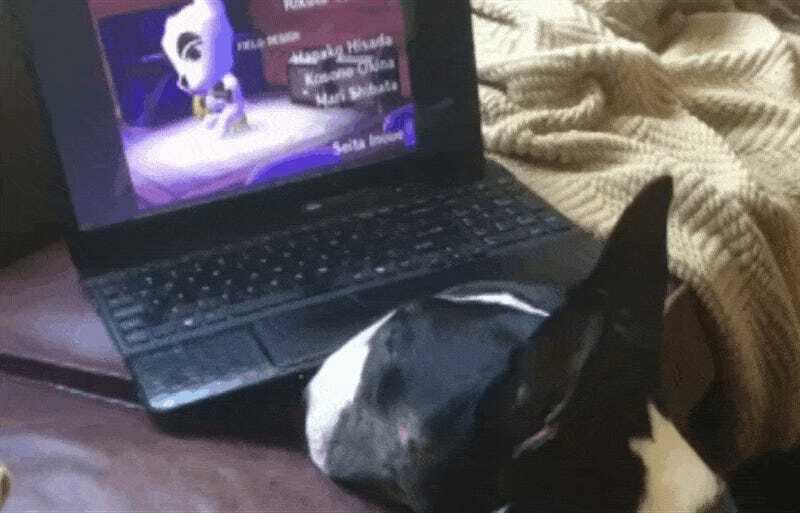 From Tumblr You Booze You Lose, this Bull Terrier is way better equipped to express his love for Animal Crossing’s KK Slider than our ridiculous human bodies could ever be. So my dog loves KK Slider from the Animal Crossing games and when he hears him he runs over and watches. Not pictured: dog tearing laptop apart every time Tom Nook is on the screen.